Amazon has published a useful update for its Kindle iOS app on the App Store this morning, and changes come in the form of two new features. 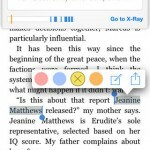 Now, users of the e-book application can enjoy accessing a Table of Contents from its left-hand navigation pane, and X-Ray Smart Look-Up support has been added to the free app, too. 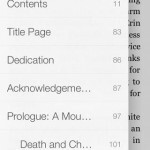 As of Kindle 4.2, a Table of Contents can indeed be accessed “from the left panel navigation menu from within most books,” according to Amazon, and chapter headings and page numbers are displayed here. 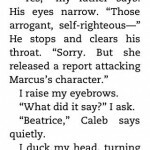 “Curious readers can tap a chapter to navigate directly to that part of the book,” the developer explains in the app’s release notes. 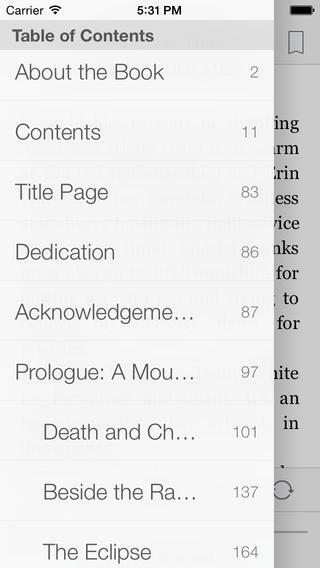 The Kindle app’s Table of Contents. Look up Amazon exclusive X-Ray information without ever leaving the page. Select a word or name and learn more about the concept, person, or place in the Info Card provided at the bottom of the page. 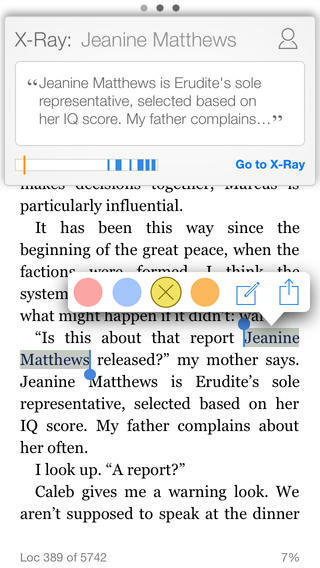 This feature is exclusive to Amazon’s Kindle e-readers, and as such we’re pleased to see X-Ray Smart Look-Up reach iOS in this way. 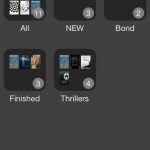 The Kindle app’s X-Ray Look-Up. 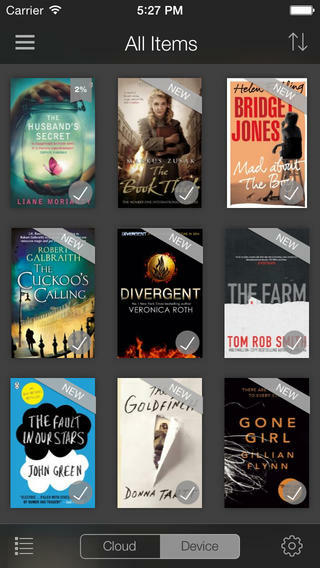 As a reminder, the last significant update to the Kindle iOS app added new features for students and readers, and before this, the app received an update adding a beautiful new design for iOS 7 in September. 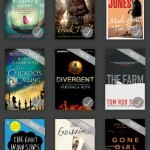 With the app, users can access their Kindle titles using an Amazon account and read e-books on the go from an iOS device. You can download the updated Kindle app now on the App Store, and as before it’s optimized for the iPhone, iPad, and iPod touch. Check out the new application now, or see: What Would An iPhone 6s And iPhone 6c Look Like?, Apple Is Now Allowing Non-Developers To Test Its Beta Software For Mac, and Apple Adds New Content Descriptions And More To iTunes Connect.